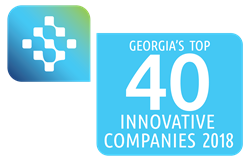 The Technology Association of Georgia (TAG), the state's leading association dedicated to the promotion and economic advancement of Georgia's technology industry, today announced MacStadium as one of its Top 40 Innovative Technology Companies in Georgia. TAG will recognize the Top 40 companies at The Summit 2018 on March 20-21 at the Cobb Galleria Centre. TAG'S Top 40 Awards recognize Georgia-based technology companies for their innovation, financial impact, and efforts at spreading awareness of Georgia's technology initiatives throughout the U.S. and globally. "We are honored to be recognized by TAG for our contribution to technology innovation in Georgia," said Greg McGraw, MacStadium's CEO. "By capitalizing on the inherent energy-efficient designs of the Apple Mac mini and Mac Pro, MacStadium has been able to effectively and efficiently reduce the footprint of server deployments by more than 400% over traditional hardware containers used by data centers. Coupled with proprietary, internally-developed management software, MacStadium has successfully built a business that has generated over 900% revenue growth over the past three years." This year's Top 40 were selected from among over 100 applications submitted by companies from across Georgia. Companies selected for the Top 40 will be showcased in an exhibition at The Summit 2018. "The 2018 Top 40 finalists are an elite group of innovators who represent the very best of Georgia's Technology community," said Larry Williams, president and CEO of TAG. "The 2018 Top 40 finalists are shining examples of what makes our state such a hotbed for technology and we applaud them for standing out as leaders in Georgia's technology community." To learn more about MacStadium, visit https://www.macstadium.com or follow @MacStadium on Twitter. For more information about TAG and The Summit, visit http://www.tagsummit.com/ or follow the conversation on Twitter through #TAGSUMMIT. MacStadium is the leading provider of Apple Mac infrastructure-as-a-service (IaaS), offering managed Mac hosting and private cloud solutions for organizations of all sizes. MacStadium, a Summit Partners portfolio company, is headquartered in Atlanta, Georgia with growing operations in Las Vegas, Dublin, Frankfurt and Silicon Valley. Learn more at MacStadium.com or on Twitter @macstadium. TAG is the leading technology industry association in the state, serving more than 30,000 members through regional chapters in Metro Atlanta, Athens, Augusta, Columbus, Macon/Middle Georgia, and Savannah. TAG's mission is to educate, promote, and unite Georgia's technology community to foster an innovative and connected marketplace that stimulates and enhances a tech-based economy. For more information, visit the TAG website at http://www.tagonline.org or TAG's community website at http://www.hubga.com.